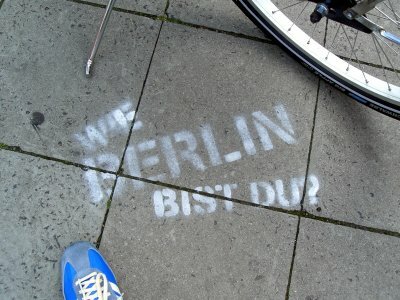 I adore Berlin. I love this ever changing city's roughness and all its contrasts. In some parts you feel like you're in 1920, in others like you're in 2030. Typically German beer gardens but also very cool artistic gay cafes. Lots of street art, museums and monuments. So far I've visited 6 times. Here are my tips. 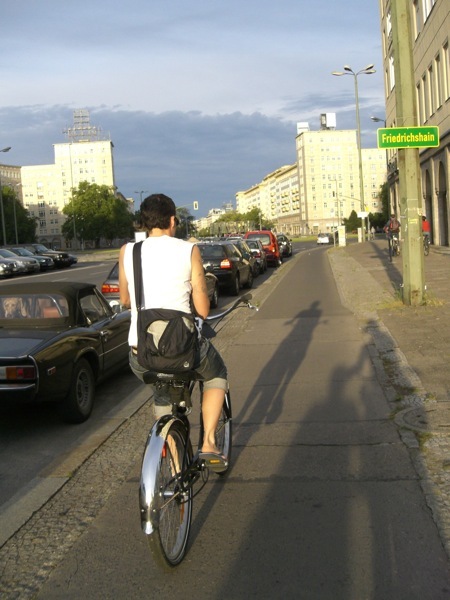 - Rent bikes at one of the shops below the Fernsehturm (TV tower), or for example Fat Tyre Bikes or Alex Bikes; or use the city's bike rental system, and enjoy Berlin by bike (way less tiring than by subway + on foot). - IMA Lofts are fantastic apartments in a renovated loft warehouse in a really nice part of Kreuzberg. It has free wifi, a little kitchen with a fridge, and rents out bikes. It's near three metro stations, various Turkish shops, many cool bars (gay and straight) and restaurants on Oranienstrasse and side lanes. - Circus Hotel is also supposed to be very nice, I have never stayed there myself. - Checkpoint Charlie Museum: it's a bit tacky, but genuinely interesting and complete. - East Side Gallery = the part of The Wall (1.3 km) that is still standing between stations S-bahn Ostbahnhof and U-bahn Warschauerstrasse. (See pictures above.) Bring your passport to get an inofficial stamp. - Reichstag is quite boring on the inside except for the architecture. (See the above pictures of the mirrors.) But walk / cycle all the way around it, you'll come across some interesting things like modern architecture and a huge 'pill' which is a monument to the German medication industry, etc. - The Jewish Museum. Very special architecture and interesting exhibition. - The Russian Monument along Strasse der 17. Juni not far from Brandenburger Tor (continuation of Unter den Linden). 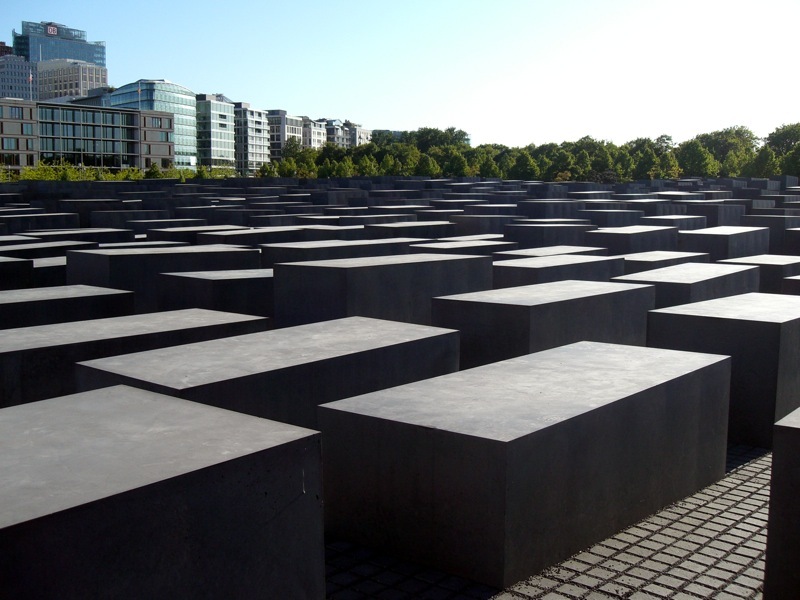 - The Holocaust Denkmal (memorial) made up of blocks of stone, Ebertstrasse just beside Brandenburger Tor. - The Stasi Museum shows you the depth of Eastern Germany's governmental spy machine. It's also in a cool building. - Potsdamerplatz: hyper modern architecture, wifi (lots of people using the internet with their laptops). - Karl Marx-allee, for the real Ossi feel (former Eastern Berlin). 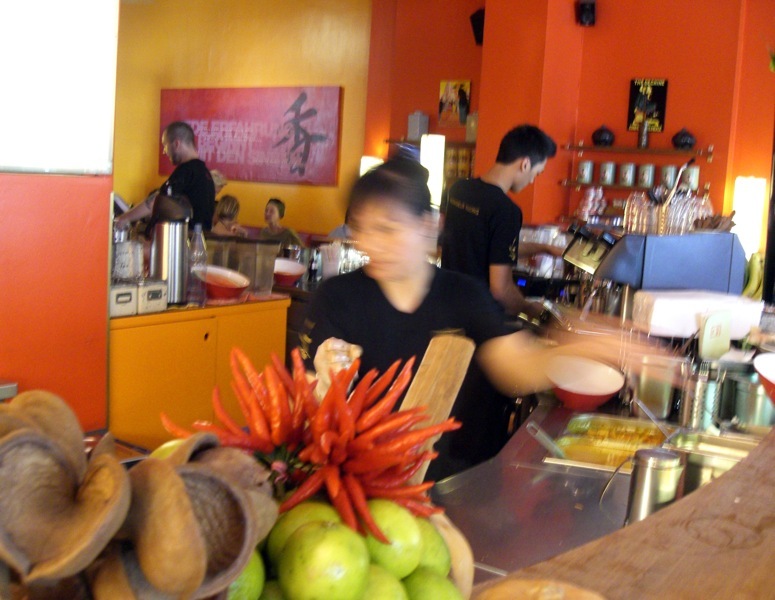 - Oranienburgerstrasse and its bars and restaurants. 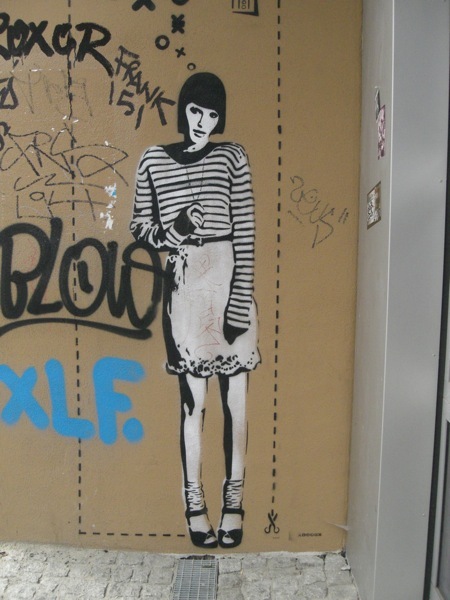 - The areas called Kreuzberg (Turkish / gay / trendy); Friedrichshain (artistic / squatter atmosphere, for example Boxhagenerplatz for nice bars and a flea market); Mitte (artistic / yuppie); Prenzlauer Berg (laidback urban / yuppie, especially Kastanienallee). All these areas contain many nice restaurants, cafes, shops (second hand stuff etc.). - Neue Schönhauserstrasse, Alte Schönhauserstrasse and its bars and restaurants and lunchrooms. Monsieur Vuong, delicious Vietnamese lunch and dinner. Very popular and queus in the evenings. Alte Schönhauserstrasse. Fridas Schwester buffet lunchroom, U-bahn stop Grünbergerstrasse. - Trattoria I Due Forni pizza restaurant, Schönhauserallee, U-bahn stop Senefelderplatz. Run by a gang of bearded Italian squatters. The best pizzas in Berlin, get one with rucola. - Maroush, huge and cheap portions of delicious Lebanese food, cosy shared tables in tiny restaurant. Adalbertstrasse, Kreuzberg. - Morgenrot, cheap vegetarian and vegan brunch buffet, all you can eat, nice outdoor seating too. Kastanienallee, Prenzlauer Berg. You pay what you want between 4 and 8 euros (without drinks). - Roses gay bar, ultra kitch with lots of pink fur and bling. Oranienstrasse. - Various other bars on Oranienstrasse. - Möbel-Olfe, bar with lots of artistic lesbians (perhaps only on Tuesday, ask locals). - Sanitorium, mixed gay bar with live dj playing dance music, very friendly atmosphere, modern decoration, age range about 20-40 y/o. - Himmelreich, certain nights are girl night (Wednesday or other, ask locals). Simon Dachstrasse, Friedrichshain. - Girlstown girl parties in Kino Berlin. Young crowd, live performances, good dj's. - Silver Future queer bar; squatter style bar with androgynous people, queers, transgenders. - Schwules Museum / Gay Museum and the bar nextdoor, Mehringdamm. - Get a free copy of the magazine Siegessäule at one SO36 or Schwules Museum or another gay bar, which lists all gay bars, parties, saunas, and has handy maps. - Lux Music Club, live bands performing. Underground feel, mix of straight and rough / arty lesbians. Schlesische Strasse. Haar Bar, cheap and good hairdresser (13 euros basic price). But beware: styling product and drying and such cost extra, so always ask what every step costs. Niederbarnimstrasse, Friedrichshain. Find photos from 4 different Berlin trips here: www.pbase.com/cile/berlin. 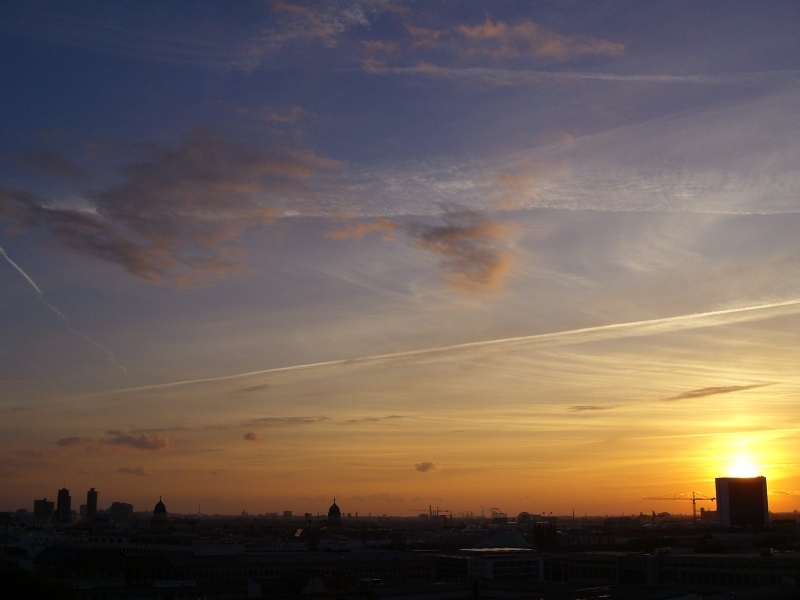 Photos from one other Berlin trip are here.